FRANKLIN ACADEMY, EAST CHICAGO, IN – Over the past couple of months, Wildlife Habitat Council — on behalf of BP — has been working with Grade 5 students in the classroom, helping them to design and build their very own school park. In recent weeks, the kids and BP volunteers have been working on the actual park construction. The park is nearly 70% complete now, and on Thursday, June 24, we hope to complete the project. Students, administrators, teachers and parents will be on hand to assist. Come on out and have some fun, and help us make an impact in the community! Volunteer Day will start at 9 AM. You will be assigned to team leaders for a day of planting native plants and trees, moving mulch and stone, building compost containers, and hanging bird and bat houses. Lunch is at 11 AM and we expect to be finished by 2 or 3 PM. Quick Directions: Traveling on I-80/94 exit on Cline Avenue going North. Go North on Cline Avenue and exit on Columbus Avenue and turn left or west under Cline Avenue overpass. Travel about 1 mile until you reach Main Street and turn left or south. There is a Walgreen’s there and the police department is across the street. Follow Main Street which will take you to the back of the school. Aberdeen is one of the top courses in Northwest Indiana. 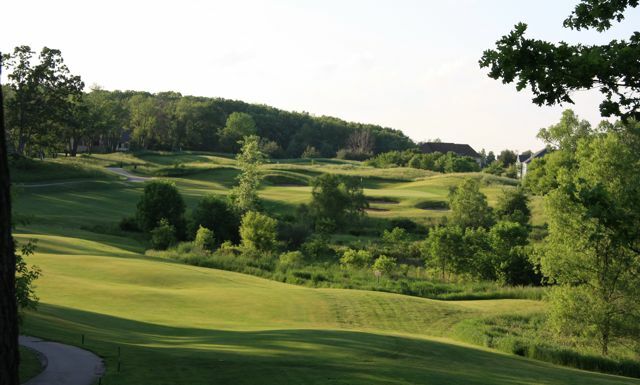 The Course at Aberdeen is located at 245 Tower Rd, Valparaiso, IN 46385. Golf will take place on Friday, June 25th, 2010 at 8:00 AM. All of the carts have roofs, windshields and rain covers and cart paths are paved the entire way around the golf course. Therefore, the only cause of an interruption in play would be for lightning. When the storm passes, able to resume play shortly thereafter. Over 150 runners/walkers have signed up to date. All proceeds from the 5K will benefit the Whiting Food Pantry and the City of Whiting Museum. Here’s some quick directions. Directions: Traveling on I-80/94 you can exit at Indianapolis Blvd going North. Follow Indianapolis Blvd to downtown Whiting. Turn right on 119th Street and go east until you reach LaPorte Avenue. Turn left or north on Laporte and go to 117th Street and turn right or east again and you are right where you need to be — Lakefront/Whiting Football Stadium.